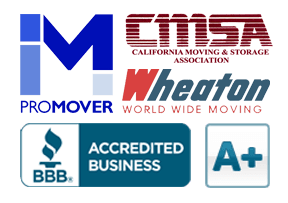 Common Moving Blunders | Cummings Moving Co.
Moving is a complicated process that requires proper planning to ensure that everything goes smoothly. Despite all of the moving services and resources available to the general public, there are still easy to avoid mistakes that are being made everyday. We outlined some of the most common moving blunders to show you how you can avoid them during your next move. Be it a move down the street or a move to the other side of the country, preparation is required to streamline the process. The logistics of moving can leave even the most seasoned mover in over-their-head. From trucks and boxes to fuel costs and able bodies, much is required for a truly successful move. Sure, the DIY method may look like it will save money up front, however, as soon as your valuable items get damaged or lost, that money flies out the window. In addition, the time, wear and tear on you, family and friends – it is tough to put a price on those intangibles. Get the help that you need to make this process as easy as possible for you and your family. Moving your home is already tough, so don’t make it any harder than it already is – seek help anywhere you can. Better yet, call a professional! Check their reviews and at the very least, get a quote. Weigh that against the time and aggravation before you resign yourself to going it alone. 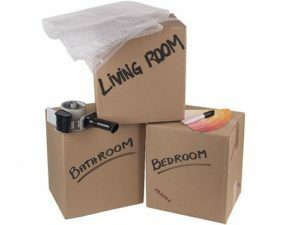 Poor packaging of fragile items is one of the more common mistakes that people make during a move. Items such as glassware, china, pictures, televisions, computers and other electronics are typically both the most fragile and expensive items in your home. As such, they require a steadfast attention to detail when they are being packaged. Try to avoid over stuffing a box, especially when the contents inside can be broken easily. Use bubble wrap, newspaper, foam sheets and sleeves or packing peanuts – these are great ways to protect your delicate items and keep them from moving around inside the box during your move. Sure, you may need to spend some money, however, your items will be safe. If you are on a budget, start collecting old sheets, blankets, heavy bags and pieces of sturdy cardboard to use as packing protection. There is always a way to pack properly. Arguably the most time-consuming aspect of a move is the actual packaging of your personal belongings. And, often times, people underestimate the actual time required to get everything into boxes and prepared for the move. If you are doing most of the packing yourself, we recommend that you get started at least two weeks in advance – preferably sooner. Waiting until the day before or, worse yet, the day of your move will only cause unnecessary complications and stress. Take the time to plan ahead and pack things well. Wrap your furniture, cling-wrap or tape drawers and doors so they do not open in transit. Cover your stairs and carpets with protective runners on moving day to prevent costly repairs or cleaning to damaged floors and carpet. And for the sake of your sanity and the sanity of those moving you, believe us when we say, “pack in boxes!” Laundry baskets and drawers removed and carried one by one are not a good idea. Choose 2-3 box sizes and stick to those. They will stack easily and make for efficient loading and unloading of your truck. Just like you shouldn’t start packing at the last minute, you also shouldn’t wait to seek help with your move at the last minute. Whether working with a group of friends and family, or a moving company, you need to be prepared with able bodies that can make quick work of what needs to be done. Some of your everyday household furniture items like tables, beds and cabinets can be more than heavy, but also awkward to carry. Having others to rely on and to help you move these items will save you valuable time. Plan ahead. Have good snacks and cold water on hand – plan to order food if it is going to be a long day. Consider two shifts to keep people fresh and put less strain on relationships. Take care of people and be prepared to return the favor. If the thought of this exhausts you, we understand. Moving is a big task. We know you can do it! The truth of the matter is that the last 10% often feels like 90% of the job! Most of us have experienced this. When the exhaustion and stress really sets in, when muscles are fatigued and patience runs short, all the little details of that last 10% can add up in a really brutal way. The secret is to PLAN for this to happen. Look at the extraneous minutia of your moving project ALL the way through to the very end and make arrangements for all of it. If you are venturing DIY on your move, plan to have an EXTRA person or two show up in the eleventh hour – even if you think there is no way you will need them. And remember, you likely need to clean the space you are leaving behind. For renters, this is a must in order to reclaim your security deposit. So keeping the vacuum, broom, mop, cleaning supplies, gloves an extension cord handy, snacks and water handy would be a great idea! Rather Pros Take Care of Your Move? We want everyone’s move to be a rousing success. Even if we never have the pleasure of working with you, we want you to benefit from our experience. If you are curious about our packing, moving or storage services, we are always happy to hear from you.